Join us today on the beautiful Caribbean island of Cozumel for our sales and divemaster internship! We have an immediate opening for a sales and marketing wizard. The ideal candidate will eat, sleep, drink, dream sales. You won't just have a passion for sales, you'll actually suffer great emotional strain if you're ever out of a sales environment. If you’ve ever dreamed of working as a dive professional in some exotic tropical destination, and have experience in sales and marketing, you can make that dream a reality today with our Divemaster and Sales Internship. During our Divemaster and Sales Internship program, you will learn everything you need to know to setup dive sites, prepare for an mitigate risk, supervise other divers, and guide tours. You’ll also learn about day-to-day scuba diving operations, about marine life and the importance and necessity for marine conservation, customer service, and the proper role of a Divemasters in a variety of dive operational environments. Your days will be shared between Divemaster training and sales tasks, meeting our weekly sales goals. Most of all, you’ll have a blast living the lifestyle that everyone dreams of. During your Divemaster Internship program you’ll not only earn internationally recognized scuba certifications, but you’ll also earn documented community service hours. This model of “study and service” is designed more to serve as accomplishments you add to your resume or hang on your wall, but as foundational experiences that help you define the person you want to be for the rest of your life. Please apply if you have a background in sales and wish to use your skills to become a Divemaster! Or contact us, we'd love to hear from you! You must be 18 years old, in good health and be able to support yourself during your time here in Cozumel. You will be required to have a background in sales with a proven track record and be willing to commit to a 6 months internship. 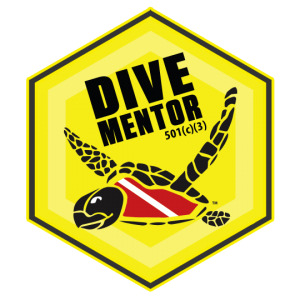 You can start as an non diver to rescue diver we will train you from your current level of certification to Divemaster. Other requirements will be discussed during the application process. Required Language: English, Spanish any other is a bonus!